Bittium Corporation, formerly known as Elektrobit Corporation, changed its name to Bittium Corporation on July 1, 2015 after selling its Automotive business and the rights to brand name Elektrobit on July 1, 2015. Bittium specializes in the development of reliable, secure communications and connectivity solutions, leveraging its 30 year legacy of expertise in advanced radio communication technologies. Bittium provides innovative products and customized solutions based on its product platforms and R&D services. Complementing its communications and connectivity solutions, Bittium offers proven information security solutions for mobile devices and portable computers. TCCA represents all standard mobile critical communications technologies and complementary applications. Our Members are drawn from end users, operators and industry across the globe. We believe in and promote the principle of open and competitive markets worldwide through the use of open standards and harmonised spectrum. We maintain and enhance the TETRA PMR standard, and drive the development of common global mobile standards for critical broadband. The TCCA is a 3GPP Market Representation Partner and our Members actively contribute in the 3GPP working groups. Expway is the LTE Broadcast leader. It has been developing and selling its carrier-grade technology for the past 15 years to customers and partners worldwide. Expway's forward looking approach, has allowed the company to take part in the first eMBMS projects, including PoCs, field tests and commercial deployments. Expway is an active member and key influencer of the 3GPP. 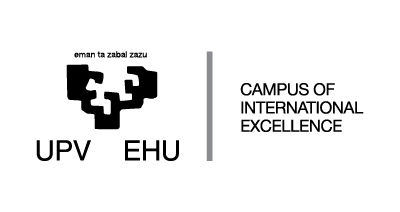 The University of the Basque Country (UPV/EHU) is a teaching and research institution that was officially founded in 1985. The indicated research group, NQaS (Networking, Quality and Security), has more than 15 years experience in mobile networking and security R&D projects. Beyond the pure research activities mainly accomplished by the permanent staff, the research group involves a team of 7 engineers who are primarily devoted to building prototypes, demos and pilots that allows for the validation of the technology. Additionally, based in this product-oriented philosophy, the research team has performed a good number of technology transference activities to national and international companies, which are then in charge of increasing the TRL of the prototypes for commercialization purposes.